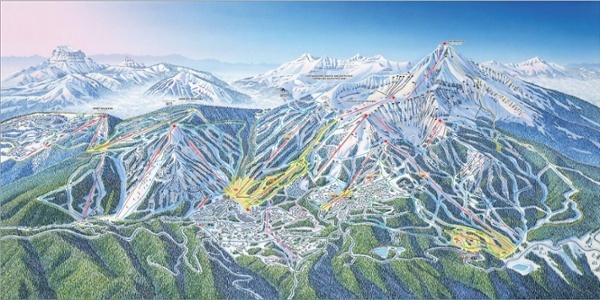 Custom ski packages & lodging deals at Big Sky, MT. The First Place Pub: A popular place that has great tamales, burgers and a solid list of beers. Gallatin Riverhouse Grill: Enjoy wonderful views of the river while enjoying BBQ and drinks served in mason jars. Broken Spoke: Another great place to enjoy BBQ, have a few beers and even catch the game (or some live music). Buck's T-4 Lodging & Dining: A well-respected restaurant serving unique items like red deer and pheasant quesadillas. 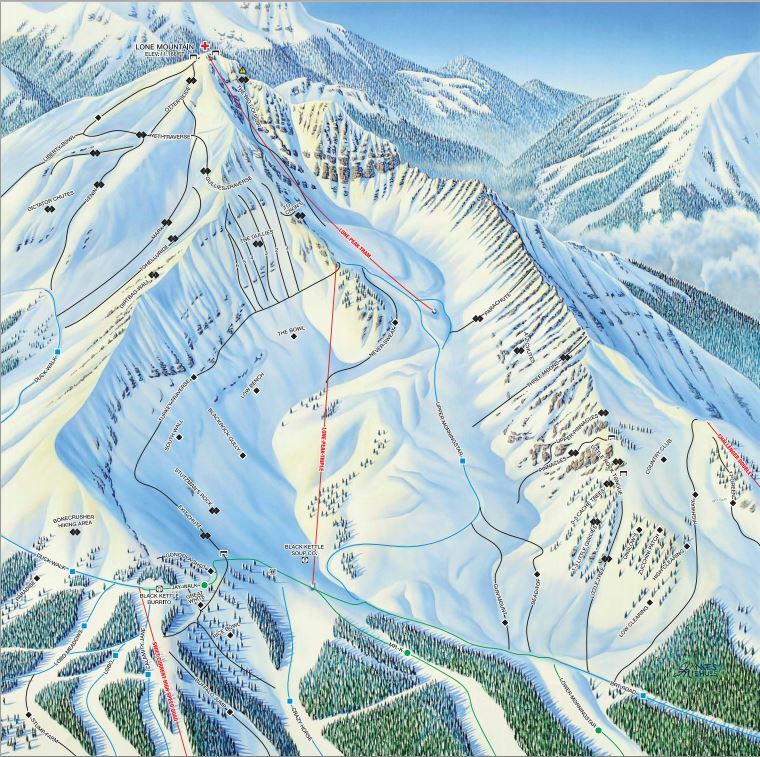 Whiskey Jack's: Perfect for apres ski with tasty pub fare and nice selection of beers. 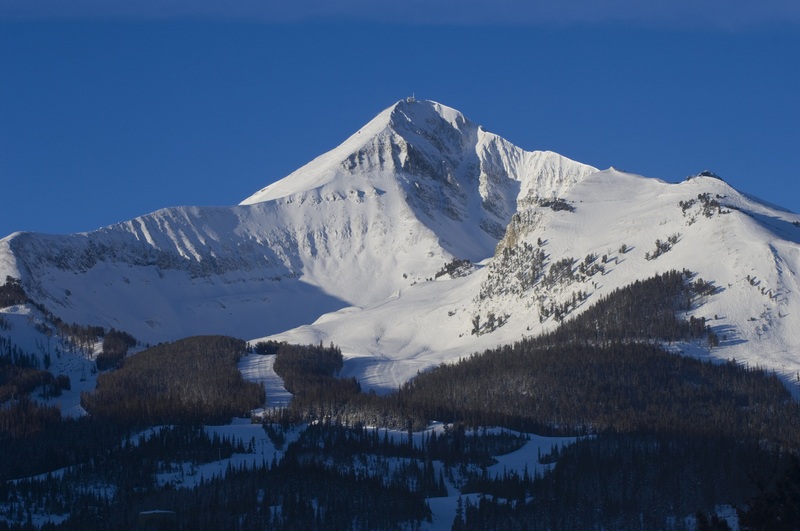 Near Yellowstone National Park tucked along the Madison Mountain Range, Big Sky's panoramic view whets the appetite of avid skiers and winter enthusiasts. 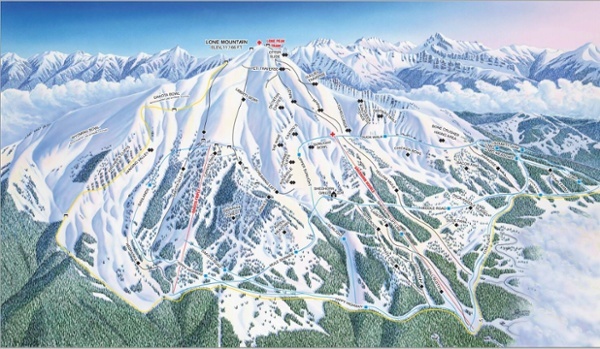 Big Sky Resort combines the rugged wilds of nature with comfort and convenience. Whether you carry power tools or power suits, you’ll feel equally at home in Big Sky, MT. Eloquent writers create epic and imaginative portrayals for the skiing at Big Sky. They speak poetically about "making ballroom turns in sparkling powder," "white knuckles and black diamonds," and being able to "yo-yo the trail to your heart's content." But for the majority of visitors, Big Sky skiing simply leaves them with out words. At Big Sky, Two majestic mountains of heavenly terrain provide something for everyone from the pizza-wedged beginners to the speed enthusiast veterans. Big Sky's ingredients are simple: immense acreage and record setting total vertical feet. Skiers vanish amongst the immense network of lifts that include high-speed quads resulting in an experience of being on private runs only disturbed by the occasional moose. 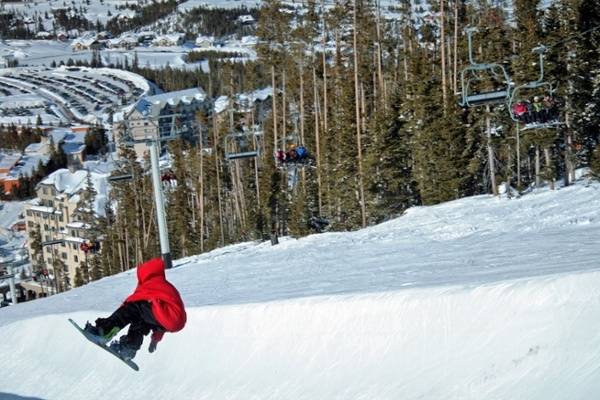 Once you combine the ski experience with the wonders of Yellowstone National Park, it’s hard to imagine a more picture-perfect resort destination. Experience the European feel of skiing above the tree line emphasized by the awe-inspiring tram ride to the summit of Lone Peak. Feel comforted by the safety of the round trip tram to take the most trepidatious skier up 11,166 feet to enjoy the view. 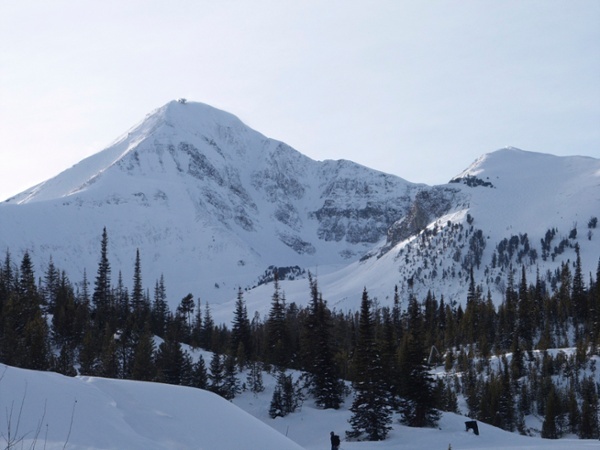 Over ten mountain ranges including The Tetons and Yellowstone Park can be witnessed from atop the stunning mountain of glacial rock called Lone Peak. 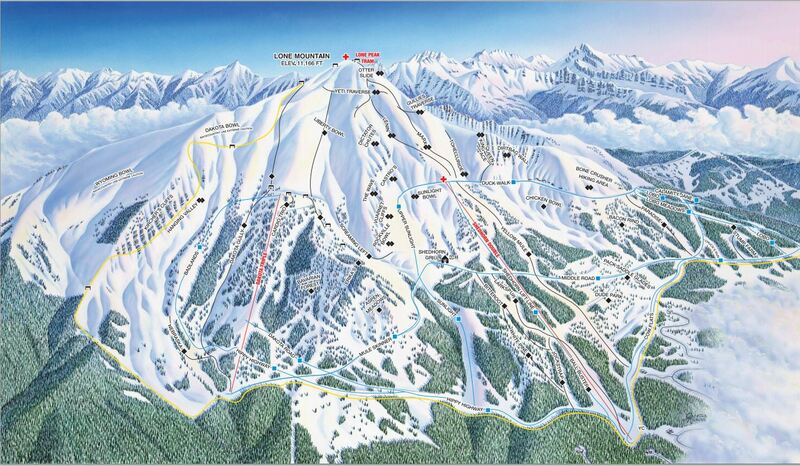 The name speaks for itself...once you visit Big Sky for the first time, we think you’ll be back! 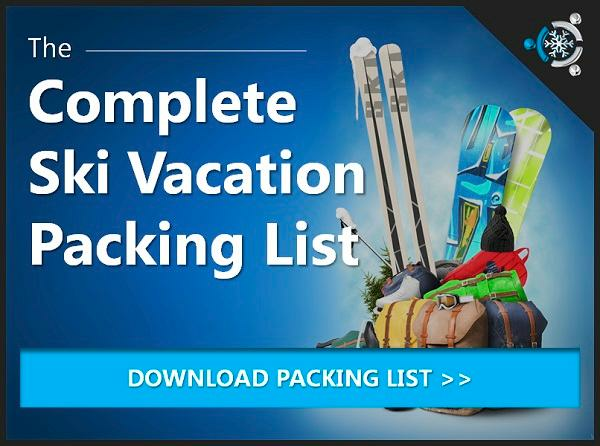 Let's get started on your Big Sky ski vacation!